Lucy Hewett The Chicago Film Archives houses more than 20,000 items that offer a diverse cultural record of the midwest throughout the 20th century. The Chicago Film Archives vault is located in a room of a beige, nondescript former warehouse on 18th Street in Pilsen. The Archives' physical archive, its trove of celluloid materials and related ephemera, numbers more than 20,000 items that offer a diverse cultural record of the midwest throughout the 20th century. Film cans line rows of tightly packed metal shelves that are icy to the touch; in keeping with professional archival standards, the humidity never goes above 40 percent and the temperature never exceeds 50 degrees. On a tour of CFA's headquarters last month led by the organization's only full-time employees, executive director Nancy Watrous and collections manager Anne Wells, the room felt even colder. But neither Watrous, who is middle-aged, nor Wells, who's in her late 20s, showed any signs of discomfort. Laboring in the cold for years seems to have inured them to the chill. Rather, they are electrified discussing rescuing and preserving neglected film—work the CFA has now engaged in for a decade. To mark the occasion, the organization is celebrating all over the city: on December 4 it hosts a sold-out benefit commemorating the tenth anniversary of its first public screening, with actor/comedian David Pasquesi and artist Theaster Gates introducing films from the organization's archive; on December 7 musicians Olivia Block and Tomeka Reid provide live accompaniment to selected CFA shorts at Black Cinema House; and on December 9 University of Illinois at Urbana-Champaign gender studies professor Mimi Thi Nguyen introduces a program at Hideout as part of the ongoing CFA Crashers series, in which people from outside the film community curate the archive's various materials. It's a busy finish to a year that has been one of CFA's most productive: In May the organization unveiled short dance films from the collection of choreographers Ruth Page and Sybil Shearer, which CFA had been working to preserve for the past four years. In August, CFA unveiled another preservation project, a newly struck 16-millimeter print of the 1970 gangland documentary Lord Thing, to a sold-out theater at the Gene Siskel Film Center. Besides overseeing these projects, the organization continues to manage its ever-growing archive, provide film inspection (evaluating celluloid materials and offering recommendations for care) and digital transfer services, and coordinate its popular "Home Movie Day" screenings, which often feature reels people have dug out of attics or basements. When Watrous first conceived of CFA in 2001, her only ambition was to stop the Chicago Public Library from throwing away its film collection. She had worked in film production in various capacities since the 1970s, as set decorator, location scout, and second-unit director on Chicago-shot industrials and features, and she felt strongly that the loss of the library archive would mean a major loss of cultural history. Though other people expressed interest in saving parts of the collection—which included 16-millimeter distribution prints of feature films, industrial documentaries, newsreels, student pieces, and travelogues—no one was capable of taking all of it. "I thought the whole collection should stay together," Watrous says. "Somebody suggested that I start a nonprofit and get the library to give me everything." After a year and a half of negotiations with library officials, Watrous secured all 5,000 titles from the Harold Washington storage room and Chicago Film Archives was born. 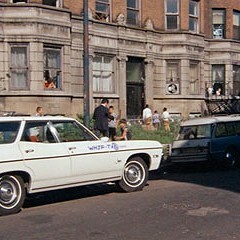 One early financial supporter was The Fugitive director Andrew Davis, whom Watrous had known since working in the art department on his first feature, the local production Stony Island (1978). "It's important to have records of how we were, how we lived," Davis said recently over the phone. "These films give you a sense of the values and mores of the times when they were shot. It's also great to have these records when [contemporary filmmakers] are making re-creations of the past—we don't have these records for any period before the invention of film." 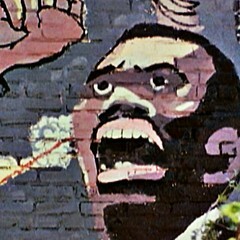 Davis has stepped up his involvement with the organization this past year, introducing a CFA-sponsored revival of Stony Island at Black Cinema House in May and participating in a tenth-anniversary honorary committee alongside Kartemquin Films cofounder Gordon Quinn and Medium Cool director Haskell Wexler. Having established a network of associates, Watrous needed to find a permanent home for the films, which since early 2002 had been crammed into an office space at 676 N. LaSalle. "The landlord had given us the space for free, but it was clear that it wasn't going to work out," she recalls. With some grant money, Watrous procured a storage room in 2004 at CFA's current home base. For a few years one room doubled as vault and office; the organization later expanded to a second room. Expansion has been the major theme of CFA's first decade. The archive has quadrupled in size since '04; at present it holds more than 100 separate collections. "Bill O'Farrell, a film archivist at the National Archives of Canada and one of our mentors early on, said to me, 'Hang up your shingle and they're going to come to the door,' " Watrous says. "I was skeptical, but it was true!" Since procuring the Chicago Public Library collection, Watrous hasn't sought out a single film for the archive. Submissions have poured in not only from Chicago, but from all over the midwest. "We should start calling ourselves the Great Lakes Film Archive," jokes Wells, who had been a CFA volunteer for about three years before Watrous hired her. As an undergraduate student at DePaul University, Wells became interested in film preservation through attending revival screenings, and she decided to pursue an internship in the field. "I sent out all these dorky e-mails to preservationists around the country," she says. Eventually she was put in touch with Uhrich, who was then in the process of inspecting the old library archive. Wells was inspired by what Uhrich did, and continued offering to chip in on multiple CFA projects. Watrous felt as though she'd found a kindred spirit. "I think she just naturally gravitated towards this work," she says. "I remember looking over at her one Home Movie Day and hearing her say, 'I like this.' I knew then that I had her." 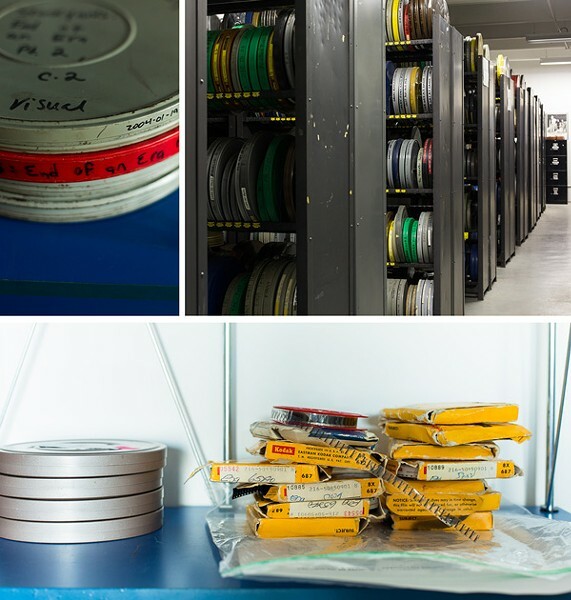 As collections manager, Wells now oversees the CFA vault, determines the order in which materials will be processed, and works with people who want to donate films. She also maintains the CFA website—where more than 1,000 titles from the collection can be viewed for free—seeks out collaborators for the organization's public events, and tries to find "new ways to get people involved with our materials"—not a small job considering the size of the archive. The search for historically significant film materials also yielded the discovery of unsung film artists. In particular, Watrous and Wells have become champions of amateur Chicago filmmakers JoAnn Elam and Margaret Conneely, exhibiting their work at multiple screenings. Elam, a onetime postal worker in Logan Square, started making experimental films in the 70s inspired by radical feminist theory. She continued shooting movies until her death in 2009, leaving behind a collection containing almost 1,000 films, papers, and related materials. "At first I was trying to organize her collection into home movies and experimental films, but with her there was no division between the two," Wells says. Elam's vision was so distinctive that it blurred the line between self-documentation and creative expression. Conneely's work was easier to categorize, but no less distinctive. An industrial filmmaker by trade, Conneely also made documentary and fiction shorts for amateur competitions. CFA struck new prints of several of her works from the 1950s and 60s, including a children's short called Fairy Princess and a feminist-themed comedy called Mister E. "She had a style that was consistent and personal," Watrous says. "Conneely obviously knew what she was doing; she just had no interest in adhering to the standards of commercial filmmaking." Conneely's output points to an underexplored region of Chicago's film history, the ambitious amateur movies that screened in local film clubs between the 50s and 70s. "These people weren't trying to be professional," Watrous says. "They were telling stories in their own way­—and some of them knew how to tell stories very well." Compared with the digitally shot amateur movies now ubiquitous online, these works, made on celluloid, "are more considered, because the people shooting them had to put money into them." The impetus to get one's dollar's worth inspired countless people to challenge themselves creatively. "From the late 60s to the mid-70s, there was a really rich climate for student filmmaking," Wells learned from her research. High schools in Chicago and the surrounding suburbs offered filmmaking classes, and students regularly competed shorts in regional contests. Watrous and Wells admit they've watched only a fraction of the archive, so they say there's no telling what else its contents might reveal. At least they have a good idea of what they have, thanks to the completion, in 2012, of a comprehensive online database (compiled from materials donated along with the films) detailing the author, genre, and production decade of every item in the collection. Now with this information in place, the first big undertaking of CFA's second decade, Watrous says, is "to start interpreting the films and doing more archival preservation," which involves inspecting and storing the materials properly. She and Wells don't plan to embark on this project alone. They intend to keep reaching out to artists, historians, and anyone else who's interested to provide context for the materials they've amassed. In this regard, events like CFA Crashers and Media Mixers (in which local artists create new works from archival films) are crucial to advancing the archive's cause. "What we want to do," Watrous says, "is introduce whole new perspectives on these films, the people who made them, and our shared history." What makes Chicago work? We selected 19 people—with passions like brewing beer or fixing bikes or curating performance art—to shed light on the city's many moving parts. Haskell Wexler had more on his mind than just the Democratic convention.